The quality of the daily pizzas at Arizmendi is still pretty high and I love it! 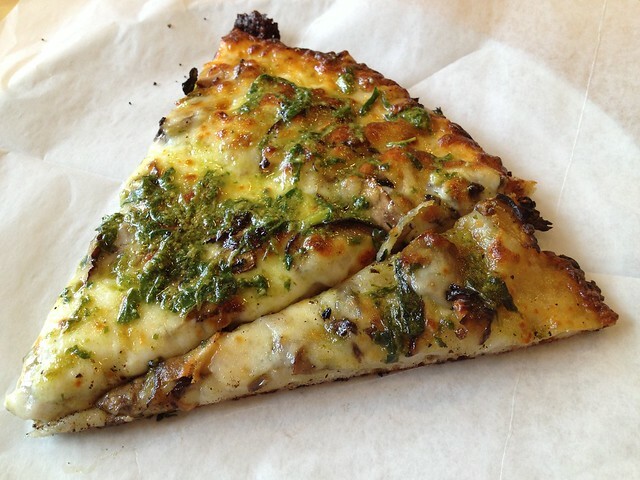 You really can’t go wrong with mushrooms and pesto, and their crust is as tasty and ever. 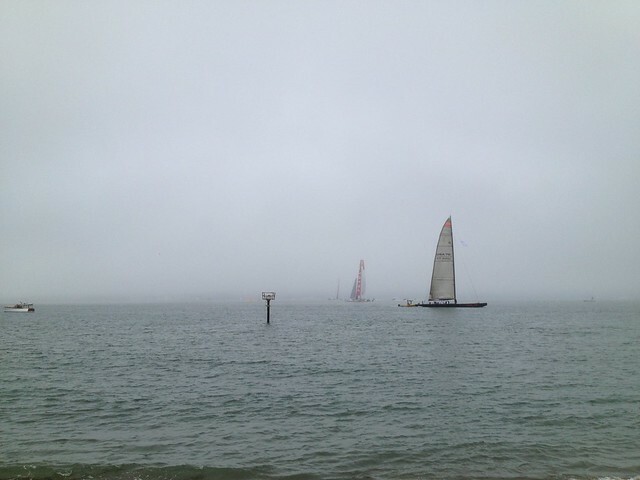 America’s Cup racing on a foggy San Francisco Bay.